Why is the “BLACK PANTHER” movie being artificially boosted to break all the box-office records? In light of the ongoing racial war that was started by Obama, the new “BLACK PANTHER” movie has been launched at this particular time for very specific reasons. It’s of paramount important to understand those reasons given the intensifying racial tensions being inflamed by the Soros-funded NGOs. 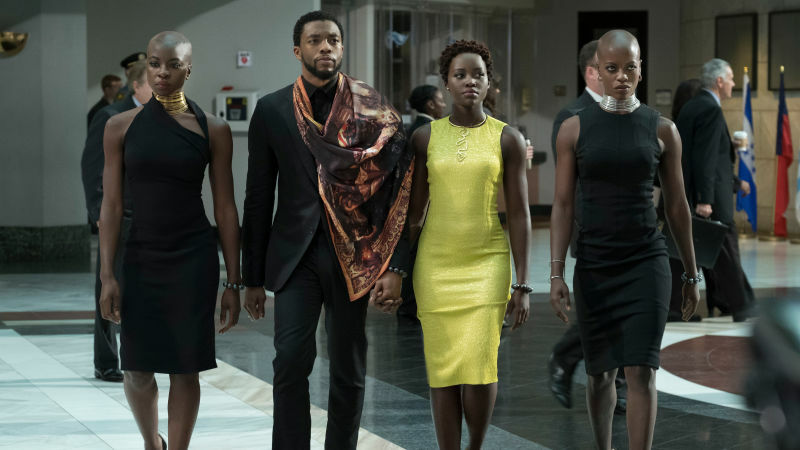 Black Panther also scored the biggest Monday in history with $40.2 million, besting Force Awakens’ $40.1 million. There’s not much more to say than that, except that if you’re involved in some kind of Vegas box-office betting pool, the smart money’s on it being No. 1 this weekend as well. (Sorry, Annihilation.) Same for the weekend after that. The weekend after that sees A Wrinkle In Time coming to challenge Black Panther’s box-office supremacy, but considering that they’re both Disney films, and directors Ryan Coogler and Ava DuVernay edited them across the hall from each other and gave each other advice on those films, that’s more of a friend coming to join the party than anything.